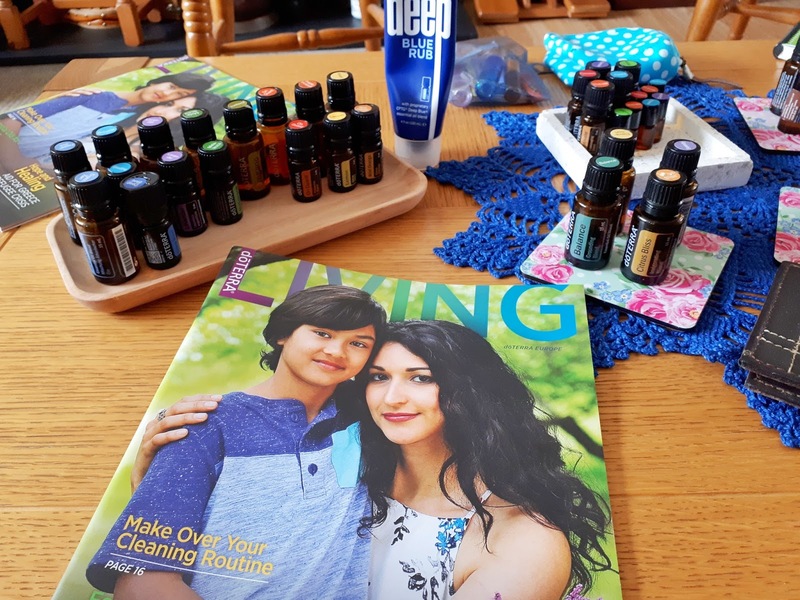 This month it's a year since I joined DoTerra and started seriously using essential oils to improve my health and well-being. I was looking for ways to improve my sleep and energy. I suffer from chronic pain, autoimmune hypothyroidism and chronic Vitamin D deficiency, all of which drain my energy and leaves me feeling tired but the pain means I don't always sleep that well. My job as a knitting designer and teacher is always busy but the last three years have been busier than I'd ever imagined. A year ago, I was just finishing my book (due out soon) and I was burnt out. I had just had my annual thyroid blood test and was told the 'results were normal' but I was feeling rubbish. I know that there's a big issue among people with underactive thyroids who feel that regular blood tests don't always show the full story and that synthetic thyroxine doesn't replace what out bodies produce naturally. I was starting to think about whether I needed to look into diet and lifestyle choices to improve my well-being. 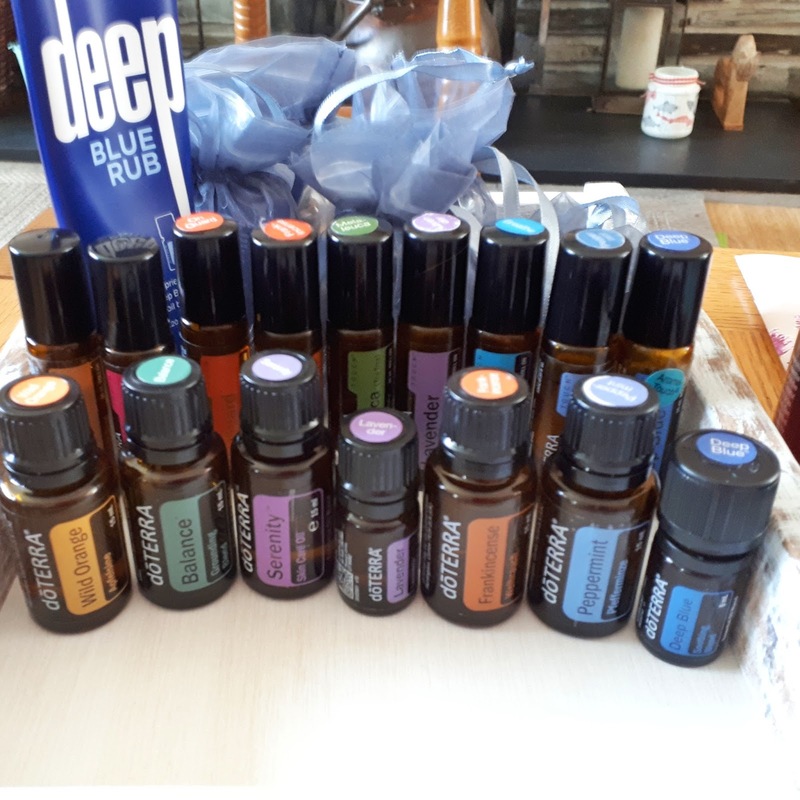 I followed Tara Swiger on Instagram and she was talking about how essential oils were helping her, especially with emotional issues, and I was tempted to try them. I've always been drawn to essential oils and I used to have regular aromatherapy massages. I bought some essential oils in my local chemist and health food shops. I wasn't really noticing a huge change so I decided to go for it and sign up for DoTerra (I enrolled under Tara). I hadn't tried DoTerra so only got three oils to start with: Peppermint, Smart & Sassy metabolic blend and Motivate Touch roller. I immediately started building my collection of other oils and with hindsight I wish I'd started with a kit as it would have saved me so much money. As the summer progressed I started using oils for other issues including pain relief. I did a post about pain relief here but I'll do an updated one later this month. DoTerra are expected to release their new Copaiba essential oil at the European Convention in London next week and I'm so looking forward to trying it as members in the US, Canada and Australia who've already had this oil for a while are reporting great success with pain and emotional issues. I want to see how Copaiba works for me before I write another pain relief post. Copaiba is a cannabinoid and works with the cannabinoid receptors in our body. It's not from the Cannabis plant so it doesn't give you a high and Copaiba is legal. I'll share more about Copaiba after convention. 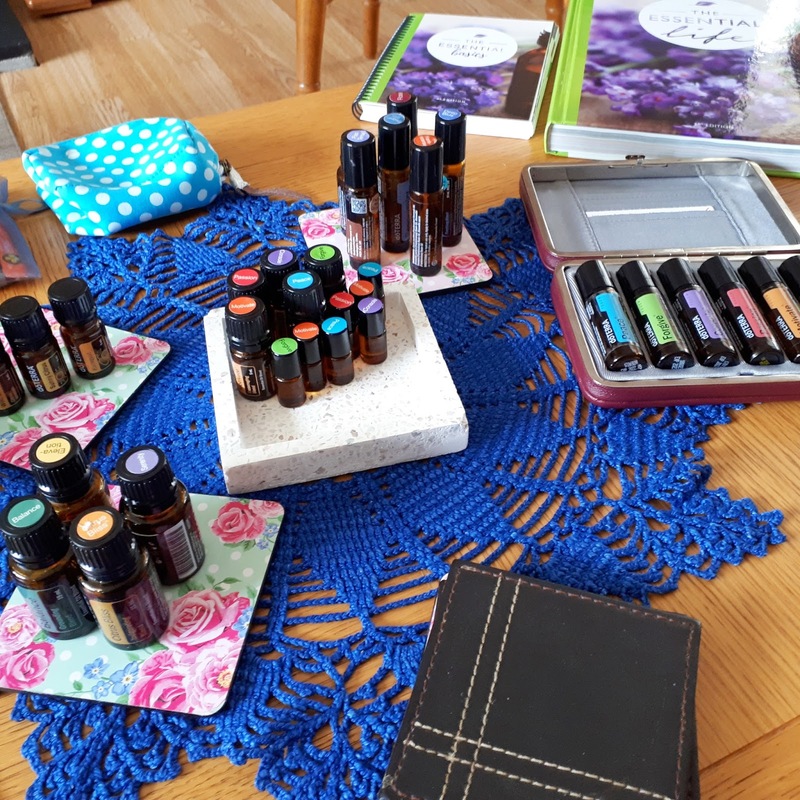 In the year since I've started using essential oils in my home I've slept better, been ill less, cut down on painkillers (gone from taking 8-10 Tramadol and Cocodamol per day to 5 of each per day), lost a little bit of weight (not as much as I'd hoped but my diet still needs improving), started exercising regularly, have more energy and my mood is more stable. This is a long introduction to my new Essential Oil Basics video. In this video I share what essential oils are, why I chose DoTerra and why they're the no 1 essential oil company in the world with over 6 million members worldwide, the Top 10 oils that support 80% of your family's health needs and how you can get started with essential oils. If you have any questions after watching the video, please contact me by e-mail on annikenallis25@gmail.com. Comments here are easily missed and doesn't give me a way to contact you. 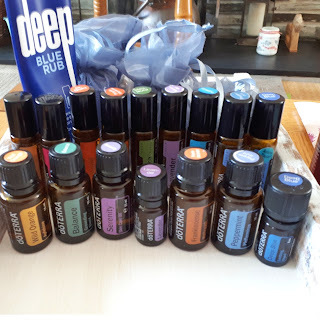 If you're interested in trying essential oils for the first time, or you want to see the difference between DoTerra essential oils and the ones you currently use, or you're an essential oils sceptic, I'd love to send you a sample to try. Why does DoTerra work on a membership basis? What does it mean to join DoTerra? DoTerra products are not sold in shops. They're only sold through independent Wellness Advocates like me. You can buy retail but it's not a good idea as you're paying full price. If you join as a wholesale customer, you get 25% off all products plus an opportunity to earn free oils, discounts and education. Apart from the 25% discount and the free oils, the best reason for joining DoTerra is that you get education and support. You get a membership of our private Facebook group where we share tips, education and chat about oils. You also get a Wellness Consultation with me where we come up with a plan for you to start using your oils. You also get ongoing support from me. You don't get this if you purchase oils through a shop. If you'd like to go ahead and join, you can use my link here (please check that my ID number is in the Enroller/Sponsor field - 4636826). Choose Wholesale Customer if you want a regular membership. If you have any questions, just e-mail me on annikenallis25@gmail.com.